This German cultivar is small in size, but delivers a generous amount of blooms. Forms a short, tight mound of blue, grass-like foliage. The flowers are a deep raspberry red and have that classic carnation fragrance. Blooms heavily in early summer, and if kept deadheaded will bloom for much of the summer. 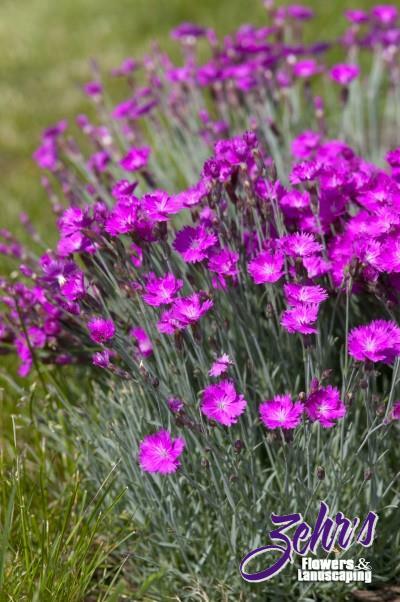 Highly tolerant of heat, this plant thrives in well-drained soils. Best in full sun. Great for rock gardens. Perennial Plant of the year 2006.